PinoySpy Launches TV Program | PinOy SPY! PSTV is looking for talents! Be a star! Get discovered! 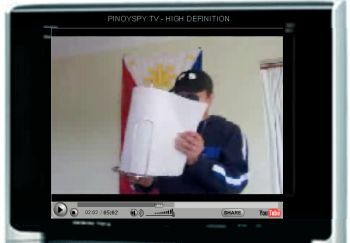 PinoySpy TV! NextMaui Taylor in Black Lace: Hot na Hot! Grabe! sobrang funny! ang galing! hahahaha! Taas kamay ko! Hello this is a great write-up. I’m going to e mail this to my associates. I stumbled on this while browsing on bing I’ll be sure to come back. thanks for sharing. | PinOy SPY!. I hope for more from you in the future as well. | PinOy SPY! is a high quality article. I’d like to write like this too – taking time and real effort to make a superb post… however what can I say… I postpone alot and never seem to get anything done. This is my first visit here. I discovered so much interesting stuff in your weblog especially it’s discussion. From the tons of comments on your articles, I assume I am not the only one having a good time here!